The context statement provides a historic background on the development of the city and the areas where African Americans lived, worked, and played. It identifies significant buildings such as A.M.E. Zion Church, the city's first documented African American church; Hannibal Lodge No. 1, the city's first African American Masonic Lodge; Charles Sullivan's Majestic Ballroom/Fillmore Auditorium, where the nation's most famous jazz musicians performed; and the home of Terry Francois, civil rights activist and City Supervisor. The San Francisco Planning Department is pleased to announce the completion of the African American Citywide Historic Context Statement, produced by historians Tim Kelley and Christopher VerPlanck, and Al Williams, of the African American Historical and Cultural Society. The project was supported by a grant from the Historic Preservation Fund Committee, with technical oversight, review, and production provided by the Planning Department. The Department has recently completed a Filipino Historic Context Statement and LGBTQ Historic Context Statement, and along with the African American Historic Context Statement, and over the next year, will work with other organizations to complete a Latino Historic Context Statement. How Will the Historic Context Statement be Used? 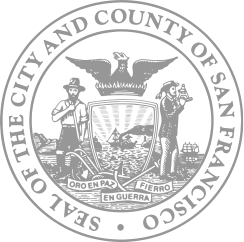 The San Francisco's Historic Preservation Commission (HPC) has made it a priority to identify places associated with San Francisco's social and cultural heritage. One way to do this is through landmark designation. For instance, Sam Jordan's Bar and Marcus' Books were two of the City's recent landmark designations. Another way to protect these buildings and businesses is to provide economic incentives, such as those currently being used in Japantown. The Japantown Historic Context Statement created policies that provided incentives to maintain Japanese businesses. If adopted by the HPC, the document can be used by community history advocates and city planners to provide a foundation for the protection, identification, interpretation, and designation of significant African American-related sites and places. On February 11, 2016, the Planning Department received a request for the HPC to continue the hearing for the African American Historic Context Statement to allow for additional time for the community to review the document. The Department has since received additional comments on the draft document and is in the process of editing the draft for consideration by the Historic Preservation Commission at a future hearing in early 2018. Contact Preservation Planner Desiree Smith for additional information regarding the use of historic context statements, for more information on the Historic Preservation Commission's review and adoption process, or to submit public comment in support or opposition of the document.